Jaguar Land Rover (JLR) has witnessed a dramatic turnaround in its fortunes ever since it was taken over by Tata Motors over 7 years ago and this fact has been ratified after the luxury brand became UK's largest carmaker. JLR built 489,923 cars in the UK in 2015 to beat long-time industry leader Nissan, which produced 476,589 units. The news comes after an announcement from the UK's Society of Motor Manufacturers and Traders (SMMT) was made recently that the country's car manufacturing operations had their best year in a decade, producing 1,587,677 vehicles in 2015. The British automobile manufacturer produces its luxury cars and commercial vehicles at 3 manufacturing plants in Solihull, Birmingham and Halewood towards the north of England. Last year, it brought 11 new and refreshed cars to market, including the Jaguar XE and XF, and the Halewood-built Land Rover Discovery Sport. The company also invested 1 billion pounds in a state-of-the-art engine manufacturing centre in Wolverhampton to build the high-tech, low-emission Ingenium engine. Together, these facilities have created more than 10,000 manufacturing jobs in 5 years, with the overall UK workforce more than doubling to 35,000. 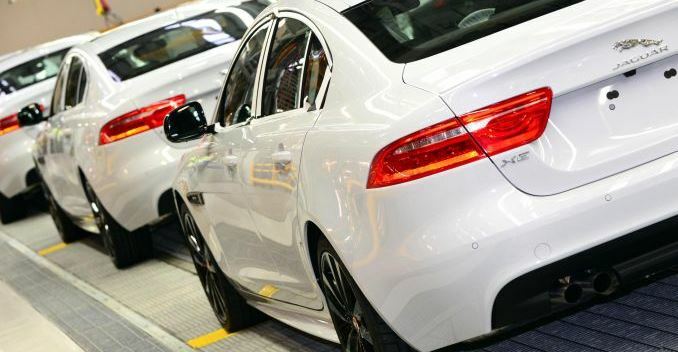 "Britain is the beating heart of our business, so becoming the country's largest vehicle manufacturer is a remarkable achievement, demonstrating our steadfast commitment to the UK manufacturing sector," said Wolfgang Stadler, Jaguar Land Rover's executive director of manufacturing. "2015 was a challenging year for the industry against a backdrop of socio-economic instability, but it is a testament to our strong product range and dedicated team of employees that JLR has delivered year-on-year growth, with more exciting products come," he said. The turnaround came despite the financial crisis that hit soon after the deal closed, and demand for luxury cars tumbled in Europe and North America - its two biggest markets. However, JLR posted a 27 per cent jump in retail sales in 2011, just 3 years after being bought by the Tata Motors.